This past Friday I picked-up keys for a buyer who is currently in Asia. 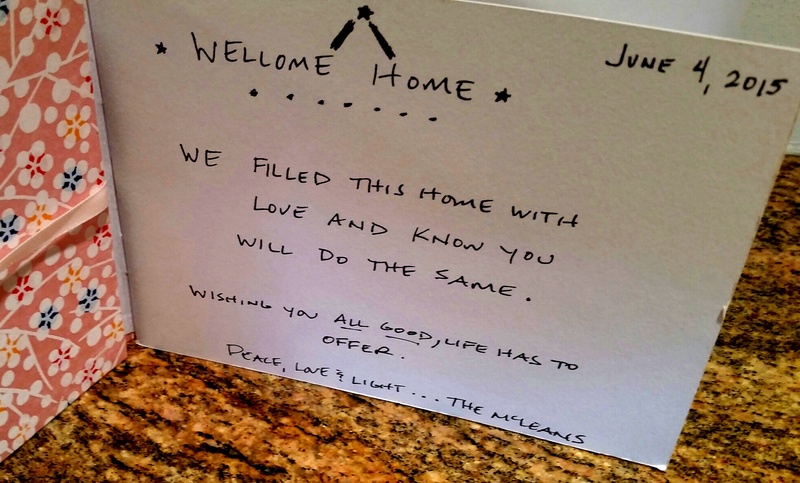 As I walked through the home she and her husband had just purchased, I noticed the loveliest note left on the kitchen counter for my client from the sellers. 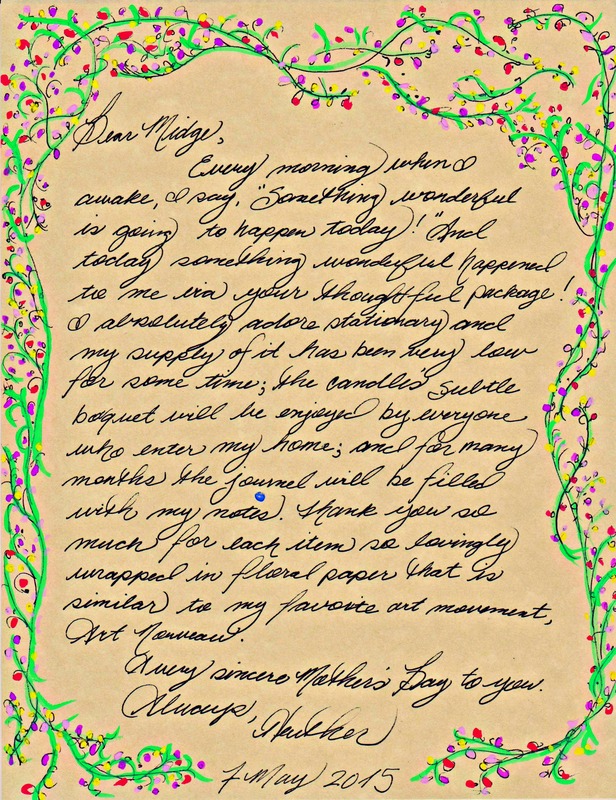 It touched my heart because it was simple, handwritten and above all thoughtful; and because I am fond of writing letters and little notes, too. In the era of social media and texting where a quickly typed “Happy Birthday” or “Thank You” has become the norm, it’s tough to remember that a handwritten note is special and brings a bit more cheer to a person’s day. 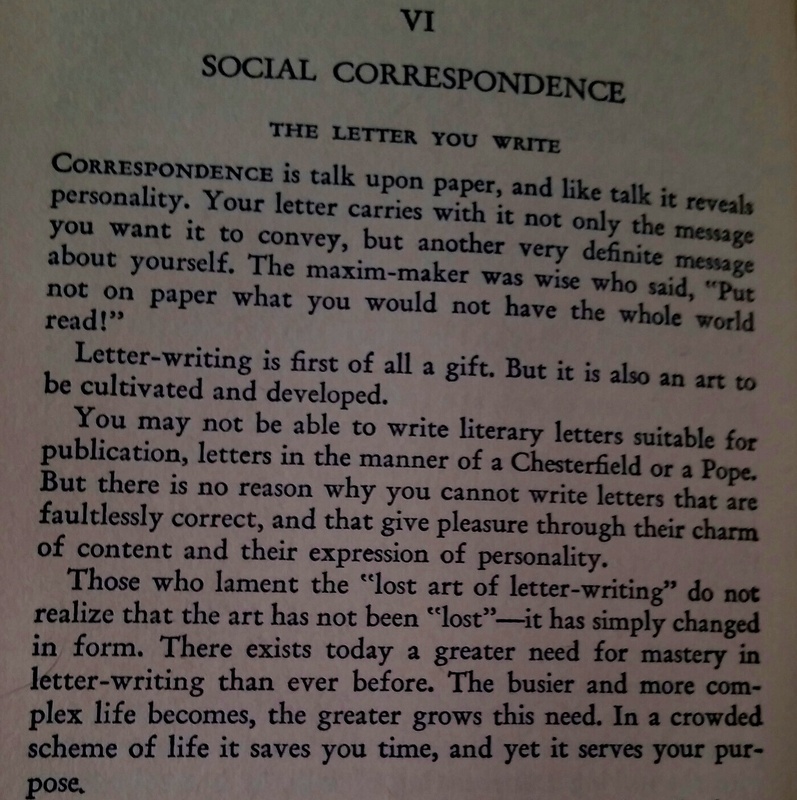 And quite honestly, most of us don’t take the time to actually write a letter when email is so much quicker. My fondness for writing letters happened when I was in junior high school. 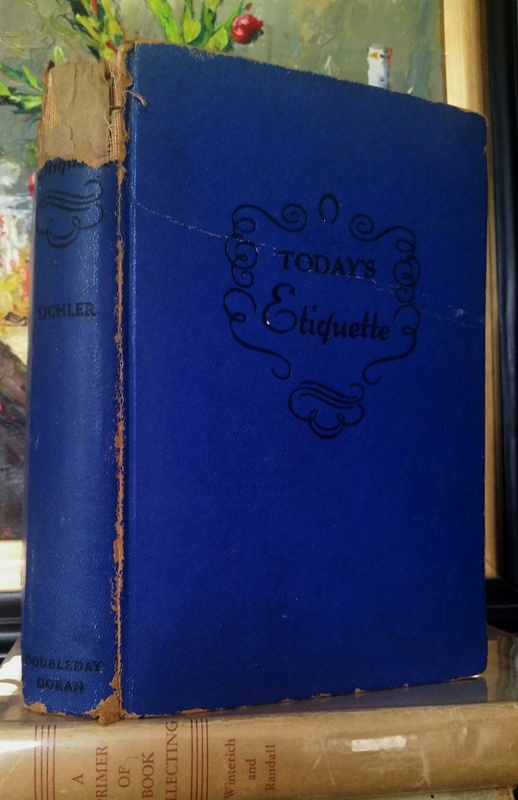 Somewhere I picked-up a little blue book published in 1941 titled, “Today’s Etiquette,” written by Lillian Eichler. Now at forty-three I can honestly write that it has been my foundation for everything—from calling customs, weddings, setting a table, hosting a dinner party, courtship and betrothal, and most importantly social correspondence. Over the years, I’ve been cultivating and nurturing the art-form of letters and have attempted to incorporate it via this social-media, texting and email era. I will write a note for a friend’s birthday, take a photo of the finished letter and then post it on their personal facebook wall, tag via instagram or email it to them. Of course I do not do this for all of my social media “friends,” but I do try to craft a handwritten note for those I am close to. “…it must be gracious, and warm with the touch of your personality,” per Ms. Eichler. I also like to blend something that is part of the letter receiver’s personality, too. Artist friends of mine closed their beloved gallery this past March. It was a sad night and I wanted to write them a message that was uplifting (posted it on instagram and gave them a hard copy). A past customer and a man who became a close friend was not in the country for his 55th birthday, so I crafted this gem and emailed him a photo of it. 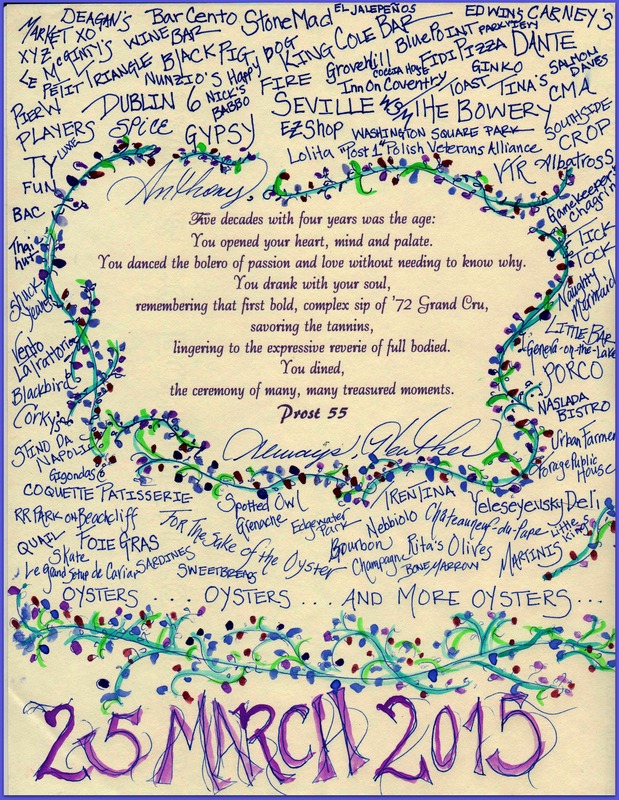 For many years he has “eaten, drank and dined to just live,” over time through dating I introduced him to “living to appreciate food, wine, cocktails and dining–the cherished ceremony,” listing all of the places we shared over the past year together. 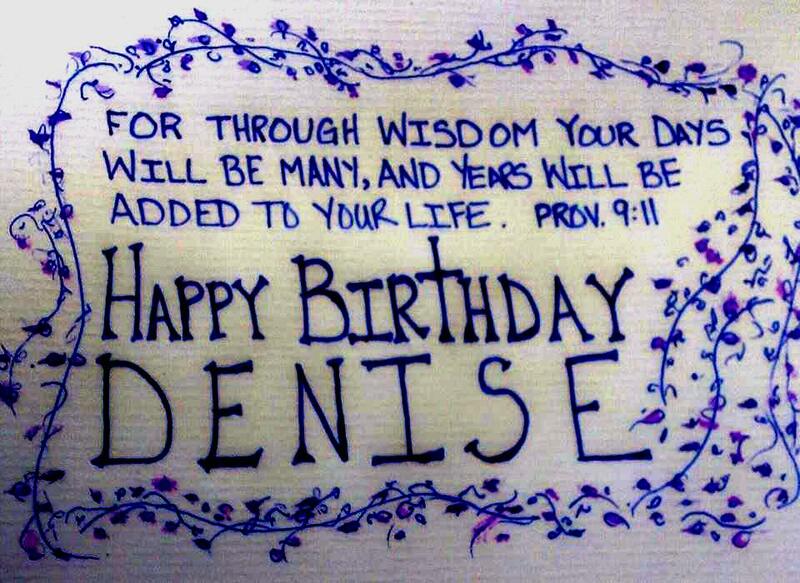 A birthday note for my friend from high school, who is a woman of faith and a cancer survivor, that I posted on her facebook wall. 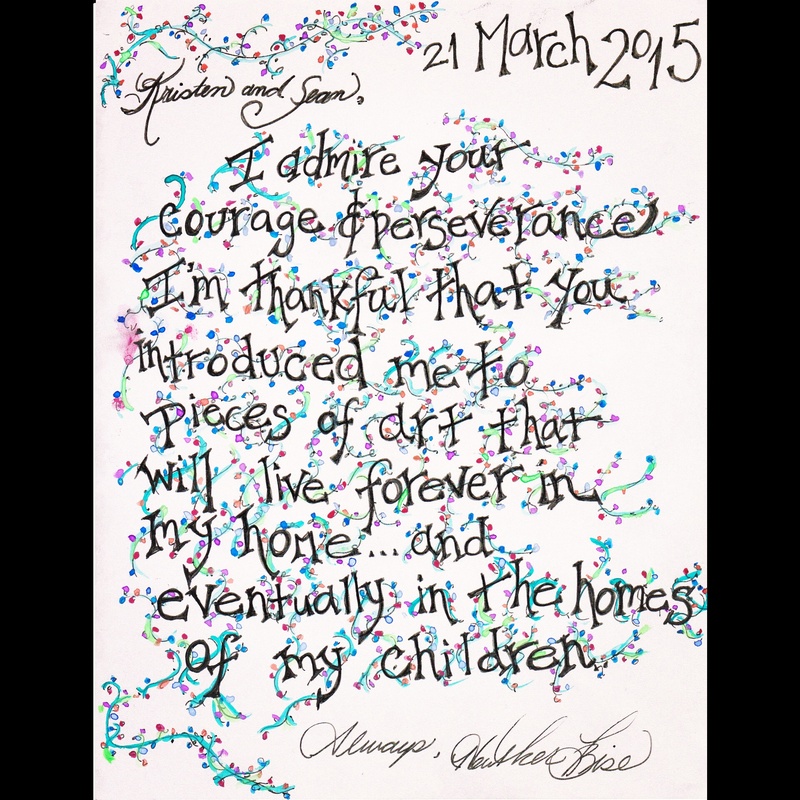 A thank you/Mother’s Day note written to friend’s mother. This one I actually mailed via US Post!